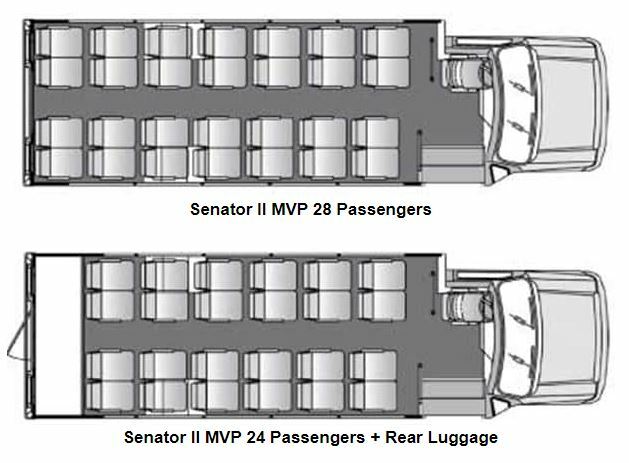 The Senator MVP offers 24 passengers plus rear luggage or 28 passenger floor plans, giving you the passenger capacity and storage you desire without having to purchase a larger bus. 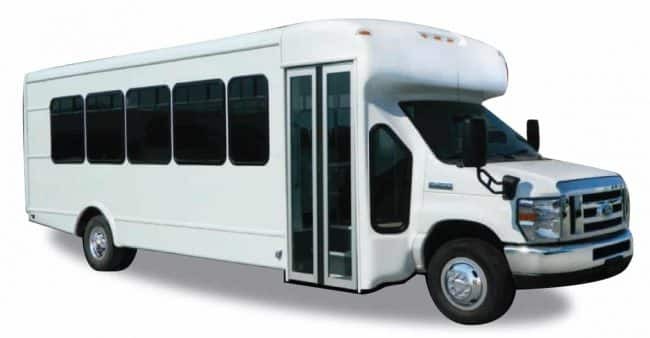 Whether you are shuttling passengers around town or travelling long distances, the Senator II MVP provides the safety and durability you demand with a fully welded steel cage construction. In addition, every bus must go through rigorous testing and a meticulous quality assurance. So whether it’s capacity, safety, or durability that drives your next purchase, the Senator II MVP delivers.